Lock in a great price for Turtle Cove Beach Resort – rated 8.6 by recent guests! The night before we checked out, the manager made up a continental breakfast for us because we had to leave before they started serving. 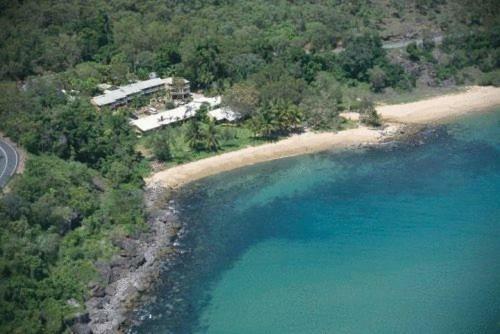 Hi there...the setting is gorgeous and on a secluded beach front. Staff was great, food was very good, drinks were very reasonably priced. Everyone is friendly, staff and patrons and local visitors. The location is secluded. When on a must relax holiday this was a must have. Great breakfast included and lovely secluded location. Staff are friendly and helpful. The location is absolutely gorgeous. Staff very friendly & welcoming. Beautiful location, right on the beach. You really feel like you are away from it all. Surroundings and garden is very green and lush. The layout of the place, rooms, pool, jacuzzi, restaurant, terrace is very intimate and well designed. The restaurant serves nice dishes and drinks. You can join other guest at a big dinner table for like 12 people, it makes connecting to others very easy. Our Garden view room was spacious, so was the balcony. You can still see the sea behind the main building (see pictures, room 211). Turtle Cove is in a great location, with friendly staff. Did a great job to promote a social aspect with other guests, but also lended itself to have some relaxation time too. Positioned in a great location. Welcoming Friendly staff. Quiet retreat away from all the ‘noise’ of other resorts. If you are after a private retreat where you are free to be yourself this is it. Stunning private beach with staff who care. Turtle Cove Beach Resort This rating is a reflection of how the property compares to the industry standard when it comes to price, facilities and services available. It's based on a self-evaluation by the property. Use this rating to help choose your stay! On a clothing-optional private beach, this adult gay and lesbian only resort includes luxurious rooms with private balconies overlooking the ocean or gardens. It features a swimming pool and a hot tub. All air-conditioned rooms are bright and airy, and feature cane and wood furnishings. Each room has a TV, refrigerator and tea and coffee-making facilities. Most rooms include 42-inch flat-screen TVs. 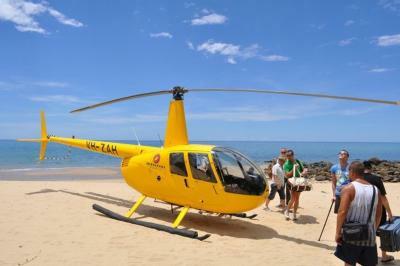 The Turtle Cove Beach Resort is located a 15-minute drive from the center of Port Douglas. Mossman Gorge is a 25-minute drive away. Guests can relax in the clothing-optional hot tub or exercise in the well-equipped fitness center. The resort shop is the perfect place to purchase a special souvenir to take home. The Turtle Cove Restaurant serves a range of light lunch options, an extensive dinner menu, and a barbecue buffet on Sundays. The Sand Bar features a variety of refreshing cocktails. When would you like to stay at Turtle Cove Beach Resort? On the second floor, this suite has a private balcony, 42-inch flat-screen TV and beautiful Coral Sea views. This beachfront suite has a private deck, 42-inch flat-screen TV and direct access to the lawn and beach. This room has a terrace with Coral Sea views. House Rules Turtle Cove Beach Resort takes special requests – add in the next step! Any additional adults are charged AUD 70 per night for extra beds. Turtle Cove Beach Resort accepts these cards and reserves the right to temporarily hold an amount prior to arrival. Please note that a 3.5% surcharge applies for payments made with American Express credit cards. Please note that this is an adults-only resort, and cannot accommodate children. Mattress in our room was not well padded, could feel the uncomfortable inner springs. Felt the pool and deck areas could have been a bit cleaner, but otherwise loved it overall. The bed was very uncomfortable. When going away to Relax - having a comfortable bed is high priority. Breakfast is basic. The bar isn't open till midnight. A volleyball net divides the nice pool into two small pools, making swimming and floating on the inflatables uneasy. It's quite bizarre, a beautiful resort style pool looks like a sports camp with it. On request I was allowed to put it aside but the next day it was back there. No wifi in our Garden view room. Staff was a attentive but a bit subdued. The private beach was fantastic. Gym needs some work. A treadmill and a new cross trainer would be good. The weights equipment is quite good however. The WiFi also needs strengthening. Staff were excellent. They were very helpful and very welcoming. All queries were answered and the food and drinks were great. Needs an up date and ran down. It is what it is.. wasnt expecting much and got that..It was ok.
not much! - parts of the hotel are a bit old and need refreshing. The rooms behind the main building are not as nice as the ocean front ones. I loved this place. When we booked we were a bit weary of what to expect. The personnel (esp Mike) were wonderful and welcoming and easy. There were few people in the hotel for the nights we were there and they upgraded us into a wonderful oceanfront room (I would recommend booking these rooms directly). The bar and pool area are wonderful, diner and breakfast were delicious. The views over the beach and ocean are spectacular! Thanks for a wonderful stay!